Iran and Azerbaijan will establish a joint pharmaceutical plant in a ceremony due to be held on Monday. 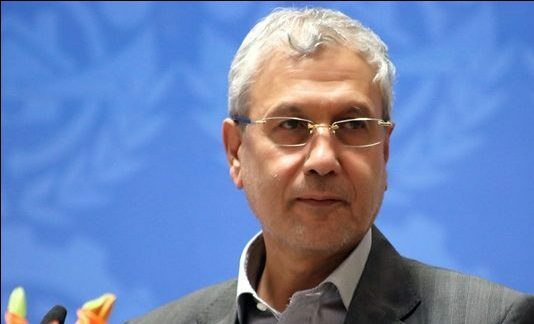 Iranian Minister of Cooperatives, Labour and Social Welfare Ali Rabiei is expected to visit Azerbaijan to attend a ceremony due to be held on January 16 to open the joint pharmaceutical plant, AzerNews reported. Over $30 million will be invested on the construction of the joint venture. In April 2016, Iran’s Darou Pakhsh Holding Company, the largest pharmaceutical company of Iran, signed a memorandum of understanding with the Azerbaijan Investment Company and Azersun Holding in Baku as part of this project. The plant, to be located in Pirallahi Industrial Park, is planned to be commissioned within two years and produce dozens of essential drugs for the treatment of heart diseases, contagious diseases and non-communicable diseases, as well as various types of antibiotics and painkillers. Azerbaijan will import medicines from Iran in the first stage, while Iran will provide the technology needed for the production of drugs in the second stage of the project. The joint production of medicines will be launched in the third stage. Azerbaijan sees pharmaceutical production as one of the major areas to diversify the non-oil sector of its economy. In late 2015, the Azerbaijani government announced that it will create enterprises to produce medicines and end its dependence on import. Taking into account the profitability of pharmaceutical sector, Baku is keen to cooperate with foreign companies in this direction.